BACK IN BLACK! 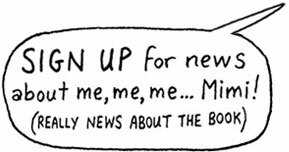 Sure, the limited-edition Kickstarter original--as featured in the New Yorker to Hyperallergic, New York Magazine to Hauspanther--sold out. But scratch that. 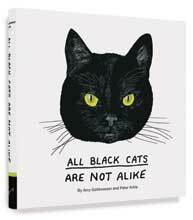 This fall marks the return of All Black Cats Are Not Alike, by Amy Goldwasser and Peter Arkle, from Chronicle Books. 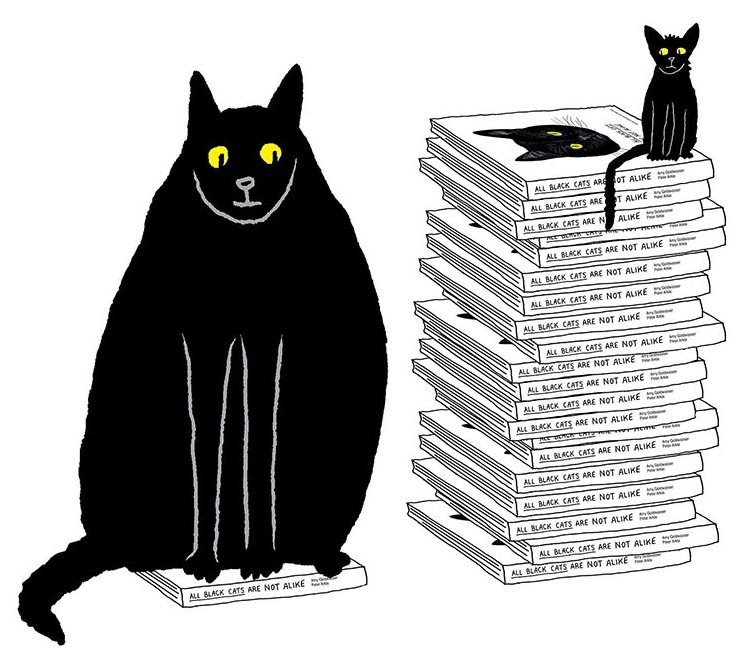 Order yours today and sign up for news of the new edition: the true stories and lovingly hand-drawn portraits of 50 entirely unique, entirely eccentric, entirely charming All Black Cat characters--each one an odd little alien in a black fur coat. For any questions, custom orders, speaking requests, etc., please contact us at Studio Goldsparkle. A first and last name is required.